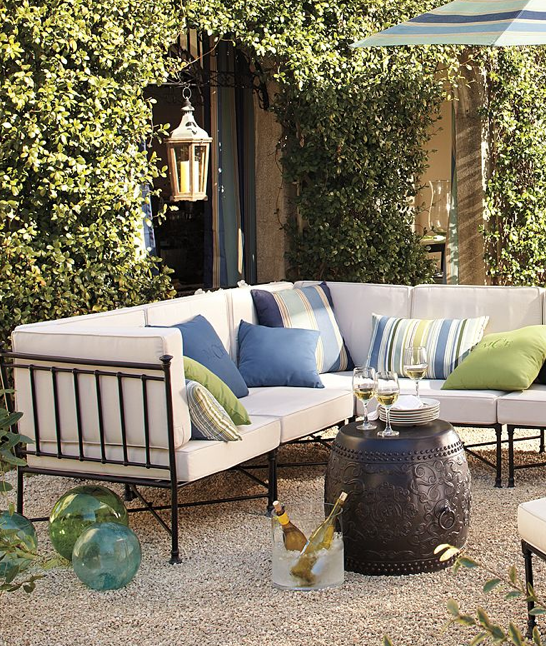 Aside from adoring their amazing products, I also peruse catalogs such as Ballard Designs and Pottery Barn for innovative ideas outside of what they sell. The latest bit of genius I noticed was in my most recent PB catalog. While the Tibetan drum table is lovely, it was the glass cylinder next to it that caught my attention. Hello new use for a glass cylinder! Wine coolers can often be pretty expensive, but an oversized glass cylinder from Ross or HomeGoods isn't. Throw in a little ice, a few bottles of your favorite bubbly and you have yourself a new wine cooler. Brilliant!